Apple iPhone 3GS Ki PCB Circuit Board par bahut se section bane hote hai unme se ek charging section bhi hota hai. Jiski help se Phone ki battery charge hoti hai. Charging section ke works ko charging IC or Power IC dwara control kiya jata hai. 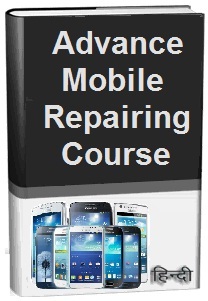 Smartphone repairing course online hindi me aaj aap learning karenge – Apple iPhone 3GS Phone me battery charge nahi hone ki fault ko kaise solve kare. Is Mobile Phone ki battery charge se related all faults ko solve karna learning karne se pahle aaiye jante hai battery not charging ki fault kitni types ki hoti hai. 1. Battery not charging problem. 2. Display Par battery charging icon aata hai but battery not charge. 3. Battery full charge nahi hona. 4. Battery charger connect krne ke bad battery charge nahi hona. 5. Charger connect krne par Handset hot ho jana. 6. Charger connect hone ke bad battery charge dikhai nahi dena. Aaiye jante hai, is Smartphone ki battery charging ki fault ko fix, repair, solve or others problems ko solution kaise kare. 1. Sabse Pahle Phone ke Battery charger ko check kare. Charger ki pin par 6 Volt se 8 Volt aane chahiye. Charger ke volt ko Multimeter se check karna Sikhene ke liye yah lesson read kare. 2. Charger Connector ko Clean karke phir Volt check kare. 3. Charger socket ko resold krke 6 se 8 volt check kare. 4. Charger Connecter ko change kare. Yadi fault solution nahi hoti hai to next step par chale. 5. Ab is Smartphone ki battery volt check kare. Battery change karke dekhe. 6. Battery ko battery connector se connect karke battery connector par 1.6 Volt se 3.7 Volt Check kare. 7. Agar battery connector par 1.6 Volt se 3.7 Volt current value nahi aati hai to charging section track or ways ko check kare. Charging ways broken hai to solution ke liye jumpar banaye. 8. Charging section me Fuse, Coil, charging diode or other small parts ko check kare, inme se koi bhi part faulty hai to change kare. connection broken hai to jumpar banaye. 9. Yadi is Smartphone ki Battery not charging ki fault solve na ho to Charging IC ko Heat, Raball or Change kare. 10. Agar battery not charging ki fault solve na ho to Power IC ko Heat, Raball or Change Kare. Notes: Agar phone ki display screen par not charging aata hai to battery change kare. 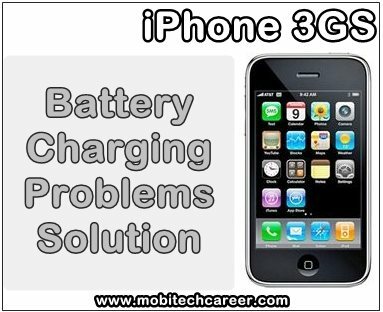 Tags: mobile, cell phone, iphone repair, near me, smartphone, how to fix, solve, repair iPhone 3G, battery not charging, no charge, charger no responsive, faults, problems, jumper ways solution, kaise kare hindi me, repairing tips, guide, notes, pdf books, download, in hindi.